More than two years after then-President-elect Donald Trump said he wanted his Cabinet officials to look the part, his administration is filled with actors — but probably not in the way he intended. A large ensemble of acting agency heads have been cast in temporary roles across the administration, and that can hamper how the agencies do their jobs, government experts tell NBC news. In the Cabinet alone, there is an acting secretary of defense, an acting interior secretary and an acting chief of staff. There's also an acting United Nations ambassador (a position the administration is downgrading to sub-Cabinet level), an acting head of the Consumer Financial Protection Bureau and an acting Drug Enforcement Agency administrator. As the Trump administration grappled earlier this month with whether to ground a Boeing airliner involved in two deadly crashes, acting Federal Aviation Administration Administrator Daniel Elwell was in charge. The agency, which has a budget of over $16 billion, more than 47,000 employees and oversees nearly 50,000 flights a day, has been without a permanent administrator since Michael Huerta ended his five-year term in January 2018. Elwell, an Air Force veteran and industry lobbyist, was bumped up from deputy administrator after Huerta's departure — a post he's held since. The president nominated a new administrator last week, former Delta executive Stephen Dickson. But Trump has said in the past that he's in no rush to permanently fill some positions. "I sort of like 'acting,'" Trump told reporters in January after a string of Cabinet exits. "It gives me more flexibility." But having a large number of acting heads is a problem, Max Stier, the president and CEO of the Partnership for Public Service, told NBC News, noting that more than 150 high-ranking, Senate-confirmed positions are still awaiting nomination submissions from the White House. "Even if somebody is a very talented individual, if you're in an acting position, you're not in as strong a position to act," said Stier, whose nonpartisan nonprofit monitors federal government management issues. "You don't feel you're fully empowered, and unlikely to think about long-term issues." Having acting agency heads also effects the "perception of the individual" inside and outside the agency, he said. "I call it the substitute teacher effect," Stier said. "They can be wonderful people and teachers, but they don't get the same respect from the students they're teaching." There's also the "cascading effect." Elwell's No. 2 at the agency, 30-year FAA veteran Carl Burleson, is the acting deputy administrator. He was temporarily promoted when Elwell was. Agencies that lack permanent bosses can also have problems hiring because job candidates worry they might get pushed out when the new boss comes in and wants to bring on his or her own people, Stier noted. An online tracker by The Washington Post the Partnership for Public Service shows that 282 of just over 700 key executive branch jobs — presidential nominations that require Senate approval — are vacant. Of those positions, 127 people have been formally nominated and are awaiting confirmation, and 14 others have been announced but not yet formally nominated. Some of the unfilled jobs are surprising given the president's policy priorities. Only 56 percent of the key positions in the Department of Homeland Security that require nomination and confirmation have been filled, according to the tracker. Kirstjen Nielsen has been working without a deputy since she was sworn in as secretary in December 2017. At the Justice Department, just 48 percent of such positions have been filled. The department's Bureau of Alcohol, Tobacco, Firearms and Explosives has been without a permanent director for years. 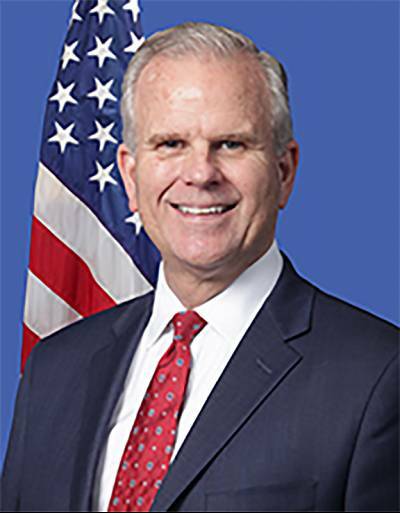 Deputy Director Thomas Brandon, an agency veteran, has been acting director since 2015. Kathryn Dunn Tenpas, who tracks presidential appointments for the Brookings Institution, said that "after 26 months, there should be nominees." "I've never seen something like this," she said. "Everything is moving so slowly." Trump has blamed the vacancies on Democrats. During his State of the Union address in February, he said a "new era of cooperation" could begin if Democrats "finally" start "confirming the more than 300 highly qualified nominees who are still stuck in the Senate — some after years of waiting. The Senate has failed to act on these nominations, which is unfair to the nominees and to our country." The number of unconfirmed nominees at the time was actually closer to 120, fewer than the 144 positions that had no nominee. 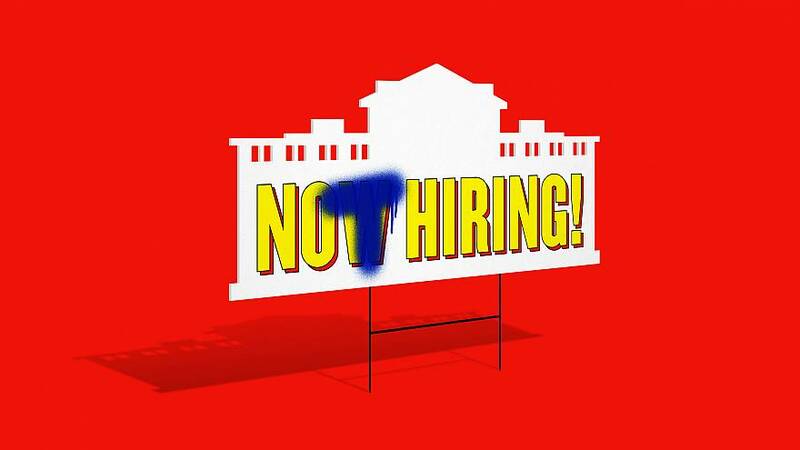 Some of the vacancies are due to congressional foot-dragging. Trump nominated David Vela to take over the National Park Service in August, but the Senate didn't vote on the career agency employee's nomination before the last session of Congress ended. That means he has to be renominated, but the White House hasn't done so yet. The post, which oversees more than 400 national parks, has been officially vacant since January 2018, with Deputy Director Dan Smith serving as acting director in the meantime. Other positions, however, are unfilled because of inaction by the White House. "The number of vacancies makes it difficult for the Trump administration to pursue their agenda," Tenpas said. "They're tying their own hands and limiting their ability to perform." The lag might be tied into the high amount of turnover in the administration. Of the 22 Cabinet-level positions (including the until-recently downgraded position of U.N. ambassador), there have been 10 in which appointees have resigned or been transferred to new roles. The turnover is "incredibly disruptive," Stier said. "By rearranging, they make more work for themselves," offered Tenpas. In the highest echelons of the Executive Office of the President, which includes such positions as the chief of staff, national security adviser and communications director, the turnover rate is 66 percent, Tenpas found — and many of those jobs have been filled multiple times. "It's vacancies on top of vacancies on top of vacancies, which is where we're at," she said, noting the overall turnover rates arefar higher than those of the last five presidential administrations. There's also been doubling up in some positions. 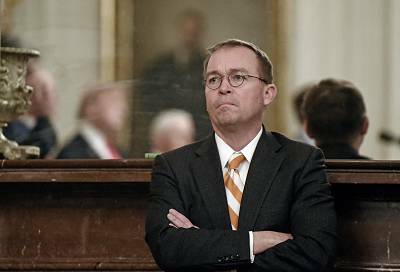 Acting chief of staff Mick Mulvaney, for example, is also running the Office of Management and Budget. Prior to the chief of staff gig, he ran both OMB and the Consumer Financial Protection Bureau. "OMB is a massive organization," Tenpas said of the agency that oversees the performance of other federal agencies and administers the federal budget. "I don't understand how you can do both those jobs and do those jobs competently." The doubling up can also lower morale. "It's telling the staff those jobs aren't worthwhile," she said. The long-term effects of the vacancies, however, are unknown. "We're kind of in uncharted territory," Tenpas said.